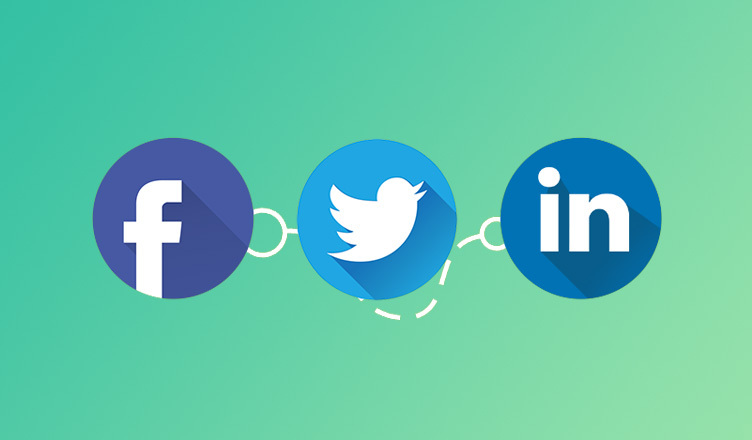 Social media platforms are constantly evolving. Today every brand is a publisher and every consumer is a creator. From publishing videos with Facebook Live to sharing millions of tweets, there’s no shortage of ways to connect with your customers. Most of the online users are today publishing videos, photos, reviews and blogs across various social media channels. Simple activities such as replying to comments, responding to private messages or re-tweeting can build a strong relationship with your consumers. However when every consumers is a publisher, getting relevant content on the top of social newsfeed becomes a challenge. Therefore, you need to focus on emerging trends that are bound to affect your social media strategy and campaign performance in the year 2017. With 1.23 billion daily active users, Facebook will continue to be the unchallenged king of the social network. Used by more than 60% of the total internet users, FB will remain at the top of marketers list to drive conversions. With the launch of new features such as Facebook Live and FB Marketplace, online businesses will find new ways to advertise their products and services through Facebook. Twitter will focus on incorporating real-time moments to consumers at large. Businesses will continue to use Twitter to quickly service their customer’s queries. With the acquisition of LinkedIn by Microsoft, we expect LinkedIn to invest in their content platforms. LinkedIn is aggressively marketing its news-feed by inviting businesses to tap into the power of peer-to-peer connections. Instagram will be a driving force to accelerate sales and generate leads for online businesses. It works well for creating brand awareness and engaging community of consumers. Leading brands are today using Snapchat to distribute content across various segments. Snapchat will evolve as a content distribution platform which will further engage users. Last year social videos stole the show on social media platforms. Next evolution will be definitely combining the emotional connect of social videos with the scale and reach of social media advertising. Live video platforms such as Facebook Live will fill the news-feed with the relevant, targeted and on-demand delivery of content. Businesses will continue to optimize their communication for mobile in the year 2017. However, Mobile users interact with the ads in a different way versus desktop. Mobile experience will see a massive shift in the user experience. You need to treat mobile users swiftly as they have very limited time and it is crucial for your communication to get to the point as quickly as possible. This trend is coming quickly where you need to differentiate your communication for mobile and desktop. Buyers are actively researching about brands on social channels. The next step for consumers is to skip visiting websites and buy directly from social media platforms. With the up-gradation of Facebook Messenger, brands can now accept payments via social channels. Facebook has also allowed businesses to drive users to messenger with calls to action such as “Shop now”. Who would have guessed a few years ago that we will trust a robot to make an online retail purchase? Time is changing and so is social media marketing. Businesses may start using Chatbots as an easy way to interact with customers and cross-promote products or services at the same time. Search engines are still the leader in helping consumers research and evaluate products or services. But social media is constantly evolving as an alternative where consumers are using it to discover about brands. It is being used as a research tool and social media will definitely catch in the year 2017. 2017 is going to be an exciting year for social media marketing. Live video, chatbots and search medium are trends which can dominate the social eco-system. Also read our blog on, “5 Content Marketing Trends You Should Test in 2017”.